Life Insurance - Complete Analysis Inc. While we do our best to protect ourselves and loved ones, life is unpredictable. This is one reason life insurance is part of a sound financial plan. Perhaps you are interested in creating a legacy for your children or grandchildren. Maybe you have a philanthropic cause. Life insurance may provide the solution. At Complete Analysis, Inc. we work with our clients to determine the most appropriate type and amount of insurance. Life insurance is not “one size fits all,” therefore, we take time to explain the variables including types of policies, and the application process. We want our clients to be as educated as possible. View the “Life Insurance Buyers Guide” from the NAIC. If you’re looking for simple and affordable life insurance which provides coverage for a specific length of time, term insurance may be the best option. Insurance companies differ, but, generally, term insurance can provide coverage anywhere from 10 to 40 years. Many people choose term policies to provide protection for life events such as the birth of children, or purchasing a home. Parents may choose a policy for the period of time that their children rely on them for financial support, or for the length of the mortgage. Spouses, whether they have children or not, may purchase this type of insurance to replace income in the event of a death, so that the surviving family member(s) will be able to stay in the home, and bills will be paid. 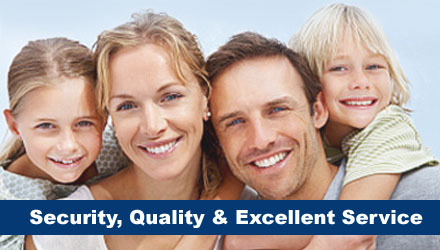 Provides death benefit protection for a specified amount of time. Usually a fixed payment schedule for the life of the term. No cash value accumulation, or loan features. Less costly than other life insurance products. At the end of the term, the policy expires. While all term policies expire, you may consider selecting a policy with a conversion priviledge. This is a contractually guaranteed option to convert to permanent life insurance regardless of a decline in the policyholder’s health. Whole life is a type of permanent insurance which provides a death benefit for the insured’s lifetime *. As with term insurance, whole life has a policy “face” amount, or how much will be paid in the event of the policy holder’s death. If you are the caregiver of someone with special needs or have someone who will be financially dependent on you for life, a whole life policy guarantees that these dependents will receive financial support upon your death. A whole life policy is designed to last a lifetime and is guaranteed to build cash value. Generally, (under current tax law) you can take loans from the cash value and withdrawals up to the cost basis of your policy without paying current income taxes on the distribution, provided the policy remains in force. Some whole life policies can also earn dividends (which are not guaranteed) that may increase the value of your policy cash value and/or death benefit amount. A policy dividend is the way the insurance company shares its financial success with the policy holder, and returns a portion of your premium. This type of Universal Life (UL) insurance policy is more flexible than other permanent polices and can be tailored to your lifestyle. UL may provide a guaranteed death benefit, which, like other types of insurance, ensures your family’s financial security. One way UL differs from other permanent insurance, is the flexibility in choosing how much and when to make premium payments. This flexibility depends upon the cash value in your policy. The cash value in a UL accumulates and grows on a tax deferred basis while you are alive. Generally, the death benefit is paid out income tax free (under current tax law) to your beneficiary upon your death. This type of permanent policy permits the owner to use the cash value for many reasons, including a down payment on a home and tuition payments. Cash value can also be used to supplement income during retirement. * A UL policy is also flexible in that you may change the amount of your death benefit (increases are subject to medical underwriting) as your needs change. The cash value earns a minimum amount of interest guaranteed by the company. Depending on company performance it is possible (not guaranteed) the amount of interest credited may be higher. Payment schedule can be adjusted within policy limits. Build cash value, subject to premium amount and timing. Generally, a more flexible option than whole life insurance, but with more risks. 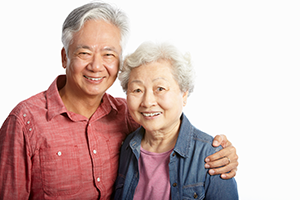 Sometimes called “Term To Age 100,” Fixed Premium Universal Life is an economical way to own a permanent policy that provides lifetime protection at a fixed premium. As long as premiums are paid on time, the life insurance company guarantees the death benefit will be paid. Generally, this type of policy does not build cash value. *Always consult with your representative or tax advisor before withdrawing funds or taking a loan, as they may cause loss of value. Potential adverse tax consequences may arise. There is no one-size fits all package when it comes to life insurance policies. Every person differs in their needs, and some people find that a combination of different policies is their best solution. We recommend obtaining insurance while you are young and healthy, since policy premiums increase with age. Once our clients have determined which life insurance plan they’d like to purchase, we will assist in every step, from the application process to delivering the signed contract. Complete Analysis, Inc. is dedicated to making sure that the process of purchasing life insurance is as simple as possible, so you can have the peace of mind knowing you have taken important steps in protecting your family and assets. Because Nathan Rosenberg, the principal of Complete Analysis, Inc., is an independent agent licensed with many companies, clients will have a greater selection of options to choose from. At Complete Analysis, we are able to offer a wide range of fixed insurance products, including term life, whole life, and universal life insurance options.